Many families whose children struggle face difficulties in suggesting or choosing gifts for their child. 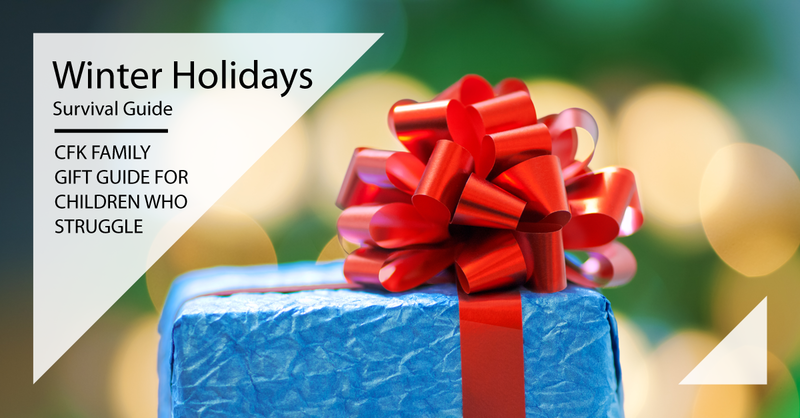 To help out this year, we asked Connecting for Kids families for their favorite gift ideas along with suggestions on how the gifts may have been modified or used to help their children learn or practice new skills. Winter can be a tough time for kids with sensory issues. Lots of inside time means less crashing and proprioceptive input. Compression vests can help children to feel the same kind of input they might get from heavier activities, like swimming. Make sure to check with your OT before ordering! Another option that could go in many places, Lite Brite has a creative component, a sensory component and fine motor benefits as well. Vibrating pens have long been a favorite of Occupational Therapists for the input they provide while drawing and writing. This one comes with five different color inks for creative fun. Perler beads are a great way to create works of art while improving fine motor skills. Beads are placed on a template, then an adult melts them together with an iron. Get kids creating and they hardly know that they're practicing a whole host of skills, including fine motor and executive function. One of our families suggests Duck Brand Duct Tape in fun patterns and colors. Scratch art is great for working on pencil grip and always results in a delightful surprise. Encourage reluctant artists by revealing the colors beneath the black coating. Stickers are one of those items that could go in so many categories. They are great for fine motor development, storytelling (language and executive function) and social skills (sharing). Children with special needs may only last an hour or two at the zoo, making paying full admission (almost $50 for 2 adults and 2 children) seem like a big gamble. Zoo Memberships allow families to spend as much (or as little) time as they need and return whenever they want. Cleveland's newly-renovated Children's Museum offers science, art, and city adventures for children, along with sensory spaces for those who need a break. Memberships give families a place to explore all winter long, when there are few places for little ones to go. Not only is Thinking Putty a great fidget, it also builds finger strength. Hide beads inside, mold it and then watch it turn back into a blob. It's a surprising favorite for kids and adults. The Tangle fidget toy is a great option for quiet fidgeting. One of our families added that even their college-aged child with anxiety uses the Tangle in class! Wacky Tracks are a bit noisier than the Tangle toys, but give a satisfying "click" when manipulated. While the manufacturer rates this fidget for toddlers, the family suggesting it noted that the tracks can be pulled apart. Key chain fidgets make great gifts for older kids who are more insecure about fidgeting. Pocket-sized and quiet, the key chain fidgets are great for classroom use. Great for school, church or other places where quiet fidgeting is preferred, this mesh tube fidget is great for keeping hands busy. It's worth noting that these are not for children who chew; the marble can be removed with wear. There's just something about the "push-to-erase button" that makes using the Play and Trace Boogie Board more fun for practicing handwriting. Trace numbers and letters or free draw for fun. Kumon First Steps Workbooks encourage development of fine motor skills in a child-friendly way. Choose from Let's Sticker and Paste!, Let's Color!, Let's Fold! and more. Peg boards are not only great for developing fine motor, you can also use them to work on following directions, planning and color recognition. Marble run games are great for planning and fine motor practice, plus they include a kinetic component that adds to the sensory experience. The Super Sorting Pie from Learning Resources encourages children to practice fine motor skills by using tweezers to pick up pie ingredients. 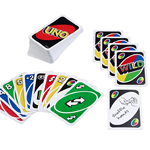 As an added bonus, children can practice numbers and colors with game cards. Perfection is a classic thinking and fine motor game that can be easily modified for children who need a little more time or who are startled by the timer going off - simply use it without the timer! Magnetic building toys like Magna-Tiles, Magformers and Better Builders can encourage would-be builders who struggle with the finger strength to "lock" traditional building toys together. Build on budding finger strength with interlocking building toys like EMIDO Building Blocks, Bristle Blocks and Squigz. These toys stick together and need a bit more strength to pull apart - perfect for building strong fingers! Looking to challenge an older builder? Families liked Space Chips and Brain Flakes for their open-ended design. Get creative on those days you're stuck inside and build a fort with a fort builder tool kit. This toy encourages problem-solving in addition to giving a gross motor workout. Indoor, door-mount gym sets, like Gym1's Deluxe Indoor Playground are great for children who need gross motor input during the winter months. Kits fit most interior doorways and some hold up to 300 lbs. The Super Spinner Swing is compatible with some back yard play sets or can be hung from a tree for loads of vestibular fun. Hang from one point for spinning or two for back-and-forth swing action. Peanut balls aren't just for physical therapy! CFK families report that these peanut-shaped balls are great for core strengthening, bouncing or just relaxing at home. Even guests to our house love trying out the scooter board, reports the family who suggested this gift. The kids enjoy setting up obstacle courses (with the spot markers, below) and races. Sit spots are great for designing obstacle courses and races. The family who suggested them uses them in combination with their scooter board (see above) to get a great gross motor workout. Expands when you throw it, collapses when caught. Hoberman spheres make for fun gross motor play or can be great as quiet fidgets. Bonus use - teach opposites like big, small, in and out to bolster language skills! Mini trampolines can build coordination, strength and engage proprioception for sensory play. The family who suggested this item also said it encourages sibling play and turn taking. Hopper balls are great for children who seek proprioceptive input or who need heavy work. The family who recommended this gift says it can be used indoors or out, making it a great solution for cabin fever. With a unique tactile sensation on the back and a visually stimulating front, pin art toys can fill multiple sensory needs at once. The family who recommended this toy said, "daughter loves this stuffy! Great for sensory input and super soft. Its quiet too so she can even use it in her classroom." Tweens who are engaged by spinning toys can get a new visual experience with this playable art. The Lollipopter comes in different colors to suit everyone's likes. Every therapist knows the magic of bubbles, and bubble machines produce gobs of them on demand. One family even shared that when they set their daughter's machine up, it attracted the neighbors' children, creating a great opportunity for social play. Chewy toys like Chewy Tubes, chewerly and chewy pencil toppers wear out and often need replaced. These oral motor sensory tools make great stocking stuffers and Hanukkah gifts. The LimeLiteTM LED Ball offers soothing color changes and can encourage interaction, visual attention and color recognition. Plus, as one of our families shared, it's "freaking awesome." "Mermaid" sequined pillows and accessories offer both visual and tactile stimulation that seems irresistible to both children and adults. Look for everything from pillows and blankets to bracelets and pencil pouches. Not only do bubblers make visually interesting sensory tools, they're also great for calm-down timers. When the bubbles reach the bottom, it's time to take a deep breath and see if you're calm. Need more time? Flip it over! Color-change LED gloves literally bring light to your fingertips. Encourage joint attention by taking turns pointing with them or just wiggle your fingers and enjoy the glow. BodySox improves body awareness while providing a protective space. The family that suggested this gift says that it not only calms their daughter but also provides social opportunities when she shows her friends how it works. Children who crave tactile input will enjoy the soft spikes on these colorful slap bracelets. Because they're quiet, these bracelets also make good fidgets for school. At a little over $1 each, these puffer balls make a fun little stocking stuffer that's packed with sensory enjoyment. Our families report that their children like the soft spikes and bright colors. Children who struggle with questions and categorization can practice skills and have fun with the guessing game HeadBanz. Use the timer to level the playing field with older siblings or set it aside for open-ended play. Zingo's tile "zinger" makes an excellent tool for children who are learning turn taking because it has a physical, finite activity to signify a turn. It's also a great for bolstering skills of emergent readers! Pop the Pig is another fun game for children who benefit from a physical reminder that a turn has ended. players take turn feeding the pig and pressing his head until it pops. Games like Uno or Bingo! - where a child has to call out in order to win - can encourage more verbal interactions. Both games are available in a variety of characters and learning themes that can appeal to a child's special interests. Fast-paced, two-player games like Connect Four are great for teaching turn taking and good sportsmanship to children with social skills and attention issues. Cause and effect toys like the Melissa & Doug Doorbell Dollhouse are great ways to encourage speech in young children. Ring the doorbell to prompt "who's there?" and continue the conversation with the doll inside. While they could go in ANY of our gift categories, we put music toys with speech and language because there are so many way s to use them to encourage speech. Want to learn how? Join us at our next session of Music Therapy & More! Play telephone, practice language and just have fun with the Toobaloo. Our families liked it for the pretend play applications but also because it can help children with speech and reading fluency. Many of the items included on this page offer links to Amazon Smile. When you select "Connecting for kids of Westlake, Ohio" as your preferred charity on Amazon Smile and shop there, a portion of the proceeds is automatically donated back to CFK. So, go ahead... SMILE! Please note that the items included on this web page are not intended as therapeutic advice or to be used in place of the advice of a skilled pediatric professional. All items were suggested by Connecting for Kids (CFK) families.